Uncontrolled infectious diseases allowed to spread throughout a nursing home can place the health and well-being of every resident in the facility in immediate jeopardy. In some cases, the nursing facility resident exposed to infectious contaminants must be transported immediately to a hospital to receive emergent care. Unfortunately, the Newman elder abuse attorneys at Rosenfeld Injury Lawyers LLC have handled many cases where their clients have suffered a worsening condition caused by inattentive staff members or nurses who failed to follow regulated protocols involving contagious infections. 418 S. Memorial Park Dr. The facility’s rehabilitation services are provided through their Pathways Program. Other services offered are Alzheimer’s care, memory care, and skilled nursing. Annually, the state of Illinois and the federal government routinely update the nursing home databases to include new information on opened investigations, safety concerns, health violations and filed complaints involving facilities all throughout the US. The updated information is posted on various websites including Medicare.gov. 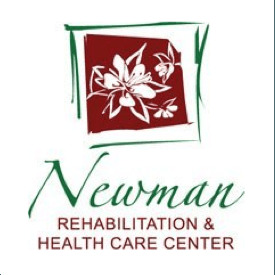 If you are concerned that your loved one has been mistreated or neglected while residing at any Illinois nursing facility including Newman Rehabilitation and Health Care Center, don’t hesitate to contact Rosenfeld Injury Lawyers LLC at (888) 424-5757. Our team of reputable Douglas County elder abuse lawyers accepts personal claims for compensation on contingency, to avoid the need of our clients paying upfront fees.